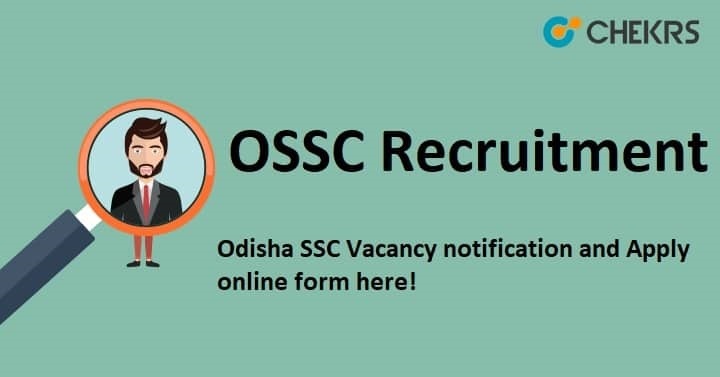 OSSC Recruitment 2018: The Odisha Staff Selection Commission (OSSC) is inviting candidates for the inspector of Legal Metrology and Lab Assistant Examination to fill 14 vacant posts through OSSC Recruitment 2018 Notification. It is the great opportunity for the candidates who are searching Government Job in Odisha state. They can apply for the OSSC Inspector of Legal Metrology Application Form from 16th august to 15th September 2018. So before applying application form candidates must read the OSSC Recruitment Notification. Here we are giving official notification link given below. The application form will be filled by the online mode, no other mode is available. Candidates visit the official website ossc.gov.in. Click on the Click Here for online Application Button. Go on the Inspector of Legal Metrology & Laborotary Assistant block and download the Advertisement. Read the all notification PDF carefully and back on the official website. The application form will open candidates fill the all required field with current information. Candidates check the application form before submitting. Candidates must take a printout after submitting the application form for the future references. Remarks: For more information, we can update soon about Latest OSSC Recruitment and we are providing the latest update related to upcoming Recruitment on our website that is www.jobs.chekrs.com. If you have any query about OSSC Recruitment 2018, Soil Conservation Extension Worker Recruitment that you can write comments on commenting box and take a review or feedback.